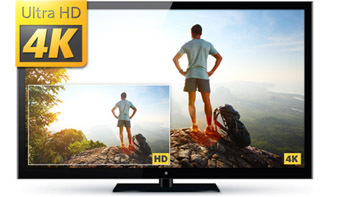 Moving Picture Rental provided a “one stop shop” solution for Wrecking Ball’s recent set of Adobe’s commercials. Wrecking Ball Studio + Labs is a regular customer who relies on us to help them with various production services situations from simple to complex shots. 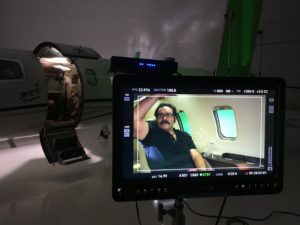 David Wells, MPR President, offered his expertise and years of production services experience to find Juan Bofill, a stunt coordinator/rigger to fly their actor. And with safety as a major concern, this was a critical task. Using a lift and harness system the actor felt safe and secure allowing him to achieve his best performance. Additionally, MPR hand-picked the entire crew — gaffer, grips, makeup, etc. and handled payroll. Essentially, Bob Donlon, Producer/Director and Joey Princz, Exec. Producer/Compositor were able to focus on the complex composite shots being captured with an Alexa Mini and Zeiss super speeds. 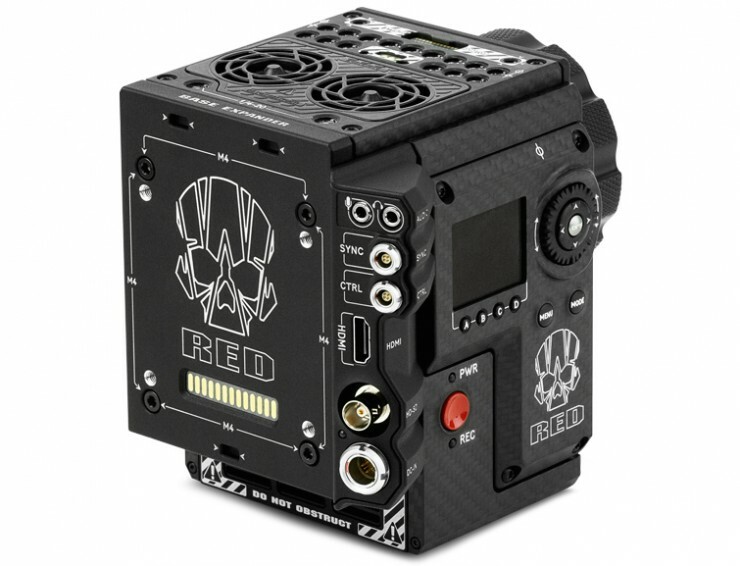 A Grip & Lighting Package too! We also had a 5-ton grip and lighting package on set. 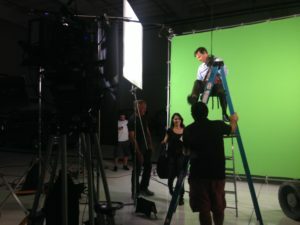 The team used large HMI’s to light the wide green screen elements and small LED panels inside the plane. Big thanks Joey and Bob. Until next time!